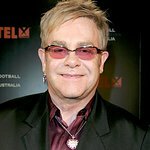 Earlier this week, Sir Elton John continued his humanitarian efforts to raise money for HIV/AIDS prevention, treatment, and awareness programs across the United States, the Americas, and the Caribbean at the Elton John AIDS Foundation (EJAF)’s 13th annual benefit An Enduring Vision held at Cipriani Wall Street. American Airlines, Goldman Sachs Gives, Robert K. Kraft, and Wells Fargo served as the Presenting Sponsors of the benefit, and the star-studded evening raised over $3.7 million for the Foundation. As part of the evening’s program, EJAF Founder Sir Elton John and Chairman David Furnish presented Enduring Vision awards to five outstanding Foundation supporters. Governor Andrew Cuomo was honored for his extraordinary contributions to the fight against AIDS, especially his plan to end AIDS in New York State by 2020, and for his tremendous leadership in bringing marriage equality to New York. Atlanta real estate developer Charlie Hendon has been a devoted friend and generous supporter of EJAF’s work for many years. Jay Jopling, proprietor of the prominent gallery White Cube and a loyal EJAF supporter and advocate, has assisted the Foundation on numerous occasions by securing significant pieces of art for live auctions and art projects, helping to raise millions of dollars over the years for EJAF’s urgent mission. In addition to their extraordinary philanthropic support for the Foundation, Nathalie and Pablo Salame are also vocal champions of both EJAF’s work and LGBT rights issues. 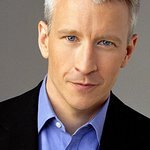 CNN anchor Anderson Cooper emceed the gala dinner for a seventh time. Elton John took the stage for an intimate solo performance at the piano. Also, guest auctioneer Andrew Gilkes of Paddle 8 conducted a live auction featuring such one-of-a-kind items as a Damien Hirst painting, tickets and backstage passes to Elton John’s upcoming New Year’s Eve concert at Barclays Center, lunch with Anderson Cooper and Matt Lauer, lunch with Mike Myers, and a Robert Mapplethorpe photograph. Through the impeccable credibility and reputation attained based on more than two decades of extensive work, EJAF has emerged as a significant leader in the field of AIDS. The Foundation advances public dialogue on critical and controversial issues related to the epidemic and challenges misguided policies and attitudes that block progress in HIV prevention. Proceeds from An Enduring Vision will help support these efforts, as well as EJAF’s grant-making initiatives across the U.S., the Caribbean, and the Americas.